On arrival at Goa our representative meets you at the airport and assists you till your check in process at the hotel. Stay overnight at the hotel. After breakfast transfer to Golf Course – There are a few wonderful golf courses in Goa. The hotel owners in Goa are aware of the attraction golf offers and hence hotels like the Leela Palace, the Taj Exotica, the Ramada and the Intercontinental have come up with their own golf courses. The golf course at the Taj has three holes which are around 160 yards in length. 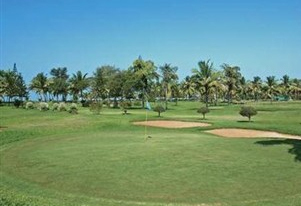 There is a regulation 9 hole golf course in Goa called the Grand Greens at Intercontinental. The Leela has a 12 hole golf course very well maintained and landscaped. The golf course of the Ramada is a very thick course with tall palm trees and liberally sprinkled sand bodies placed strategically. Overnight stay at hotel. After having breakfast you will be transferred to Golf Course for full day for guided Golf playing. Evening free for your own activity or free for shopping around the local market. Overnight stay at hotel.